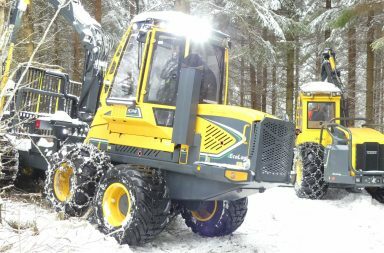 Rottne introduced the new 20-ton forwarder F20D in late 2016 and forest contractor Börje Norbäck AB in Stöde in north Sweden was one of the first to try it out. He intend to replace one of his old forwarders with a new full size model and decided to put the F20 through its paces as he got hold on the first demo machine on tour. I went with the operator Jonny Larsson who drove the F20 this day and got some insight into the hard life of a full size forwarder. There is already a Rottne F18 in the company, but Jonny normally drive a Ponsse Elephant King. The load capacity is comparable between the Ponsse and the F20 but after a some days in the new Rottne, Jonny had falled in love with the cabin dampening. 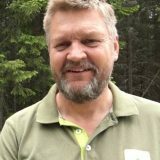 He says he will miss it when he returns to his Ponsse in a few days. On the other hand, he missed his Ponsse’s double-telescope crane and the last meter was “missing” too often according to Jonny. The F20’s demo version had a single-telescope RK160 crane, but it can also be delivered with a double-telescope. What is actually the difference between the Rottne Forwarders F18D and F20D? Not really much more than the F20 is approved for 20 tons of load. 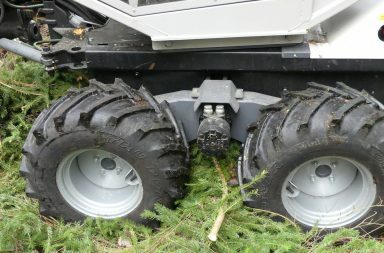 The F20 has a balanced bogie and some slight adjustments which makes the bogie manufacturer to that guarantee that the forwarder can take 20 tonnes. In addition, it has bigger wheels (but that is also offered as an option at the F18D). Otherwise, the engine, hydraulics, crane, driveline and everything else are identical with the F18D. For those who want to see the technical specifications, you will find them on Rottne’s site. 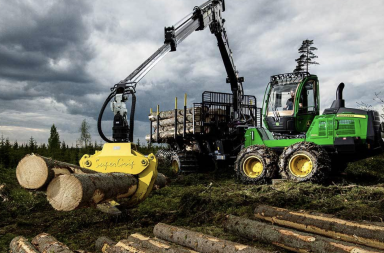 The F20 is primarily designed for the North American market, but according to Rottne, there is a lot of interest for big forwarders for heavy logging, even in the Scandinavian market. 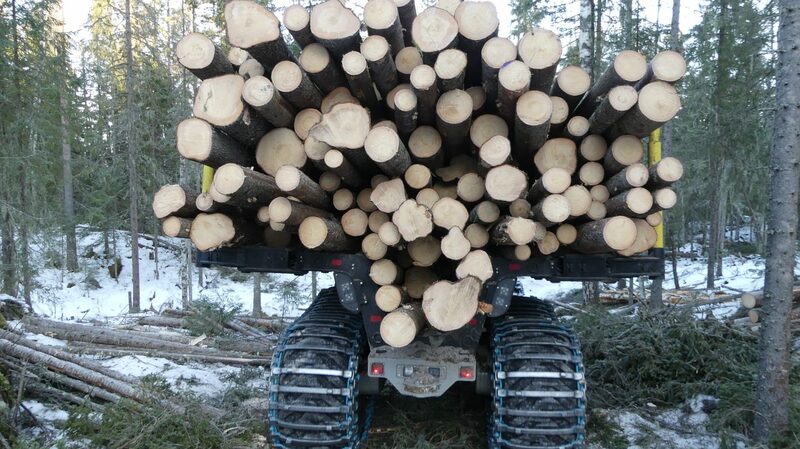 The logging site I visited is a good example where the size of the machine makes a difference. I clocked the time it took for loading and bringing a load to the landing and until it was unloaded. With all reservation because this is a demo machine unused for the operator and that I was “a disturbing element”, I choose to present the result even if it’s not scientific. It could be a good base for some discussions about forwarder size.